Featuring works by several gallery artists, including Michael Elkan, Gillian Armitage, Wayne Eastcott, Michiko Suzuki, Galen Felde, Emma Milley, Leszek and Lynn Wyczolkowski, Pari Azarm Motamedi, and Chris Anderson. This show is on display through December to January 2013. If you are an art lover with a desire to experience the creative journey of our exceptional artists, please join us for this rotating group exhibition. 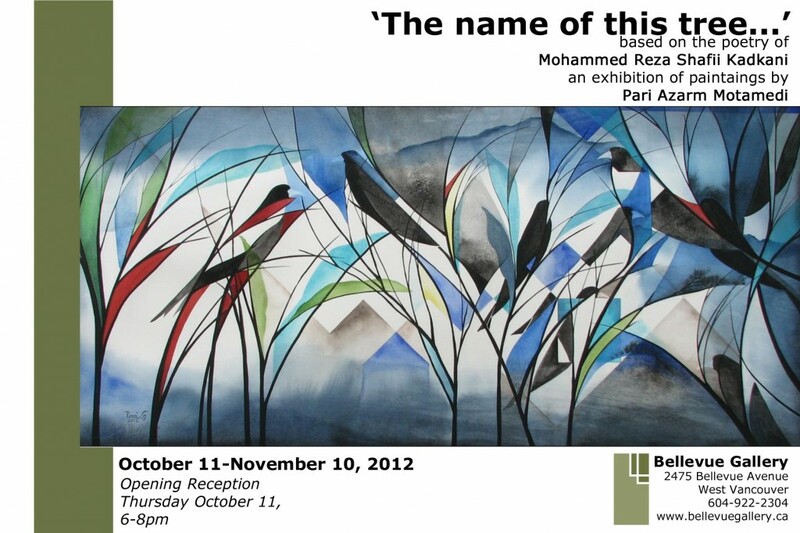 October 11, 2012 marks the opening of Bellevue Gallery’s exhibition, ‘The name of this tree…’ featuring paintings by Pari Azarm Motamedi. 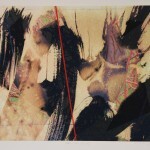 This latest exhibition by Pari is based on the poetry of Mohammad Reza Shafii Kadkani. Kadkani’s poetry expresses, in beautiful layered images, the observations, thoughts and experiences of an artist and scholar experiencing life in contemporary Iran. Pari aims to convey her interpretations of these poems and their layers of meaning in a visual language that has been developing over a lifetime of contemplation and work. While interpreting Kadkani’s poetry, Pari has chosen to focus on three different areas of concern and preoccupation which affect both the twenty first century poet living in Iran, and the twenty first century artist living in the West. She believes the same areas of interest are shared by many of us living in this era of questions and contradictions. The first area of concern focuses on poems that are a response by the poet to immediate and spontaneous times in ordinary life. The poet alludes to the importance of appreciating the moment instead of focusing on what lies beyond. Secondly, the author focuses on sociopolitical events, and finally Kadkani deals with universal questions of life, human experience, and existence. In Kadkani’s poems one encounters a sensitive, thoughtful artist saddened and angered by all that is happening around him and in the world. Even so, Kadkani sees beauty, living life fully in each moment while at the same time deeply thinking about the bigger universal questions of life. 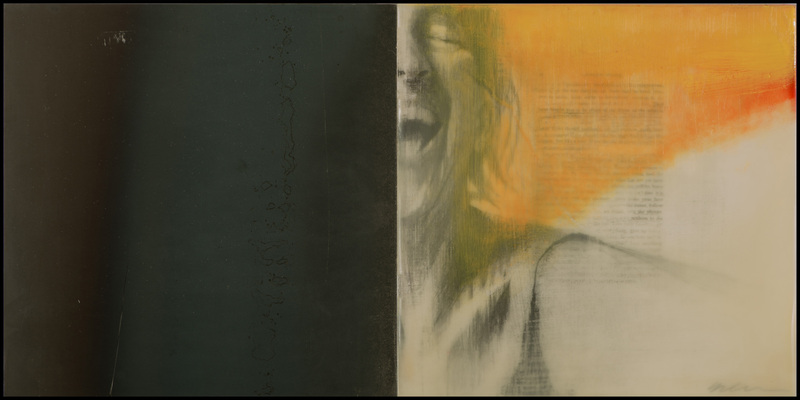 Pari shares the same concerns as Mohammad Reza Shafii Kadkani, and expresses this through her work and paintings, using Kadkani’s poetry as the source of her inspiration. 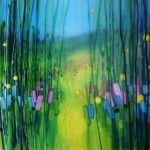 The Bellevue Gallery is excited to welcome visiting artist Mark Heine to the gallery. 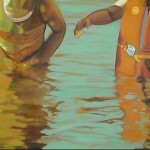 Beginning July 12, 2012 the gallery will be showing Child’s Play, a collection of paintings inspired by Heine’s life on the West Coast. 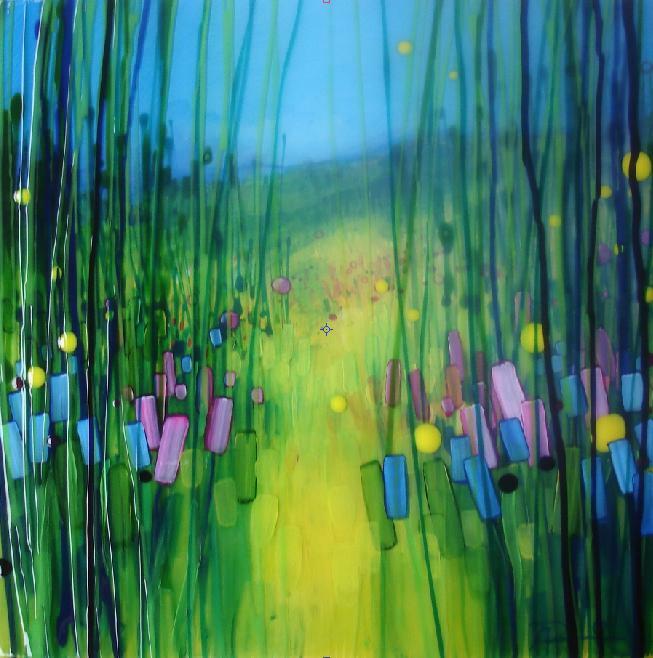 Heine takes realism and slightly abstracts it using vibrant colours and off-center compositions. 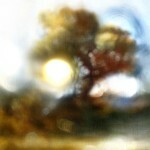 As an artist Heine’s purpose is to live with his eyes open, observing, collecting and recording. 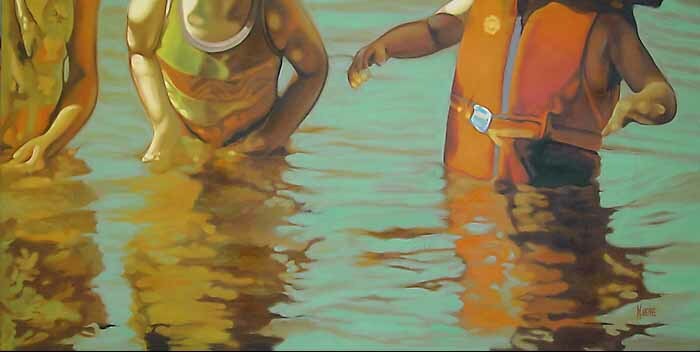 He paints his reflection of those observations… sometimes joyous, sometimes painful, but always honest. The vibrance found in the new paintings by Aaron Robbins is central to this month’s group exhibition, Fresh. Aaron draws upon his travels, experiences, and memories while exploiting the tonality and aura of the landscape he’s painting, making it his own and creating a journey for others. 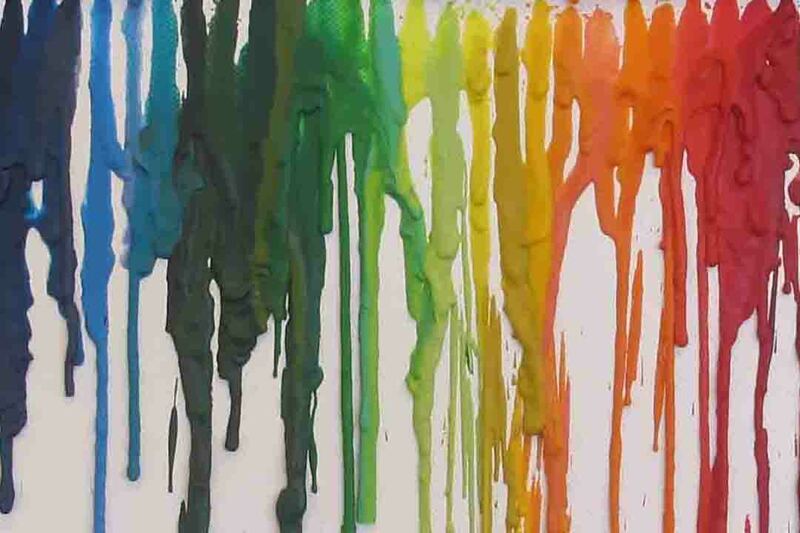 His extensive use of colour, layering and glazing techniques combined with an environmentally friendly Pouring Medium transforms a two dimensional painting to a three dimensional work of art. The Name of this Tree, is Pari Azarm Motamedi’s second solo show at the Bellevue Gallery. We are excited and honoured to be showing her new body of work based on the poetry of contemporary Persian scholar and poet, Shafii Kadkani. His poems deal with questions and feeling which many contemporary Iranians share and Pari has attempted to convey them in a visual language. According to Pari, poetry and painting are about making ‘images’ to convey a message. In contexts where lack of freedom limits what can openly be expressed, the ‘image’ becomes the tool of a hidden language of communication between the artist and the ‘readers’ of the work. 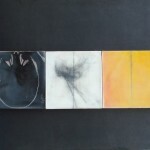 Beginning May 14, 2012 the Bellevue Gallery will be showing Matters of Minimalism. This rotating group exhibition features work by Erica Grimm-Vance, Emma Milley, Wayne Eastcott, Michiko Suzuki, Lynn and Leszek Wyczolkowski, Marion Llewellyn and Gillian Armitage. The clean, crisp lines and sophisticated colour palate make this show a stunning display of our gallery artist’s accomplishments. 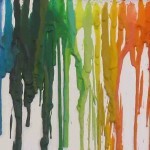 From May 4-12, 2012 the Bellevue Gallery will be hosting a children’s art exhibition as a fundraiser for Chelsea House preschool. For one week the walls will be adorned with works of art created by children who attend Chelsea House. Some pieces will be auctioned off as a fundraiser for the school while others are pieces that each student can take home with them. This show not only helps raise funds for the school but also emphasizes the importance of art as an aspect of learning and growing. 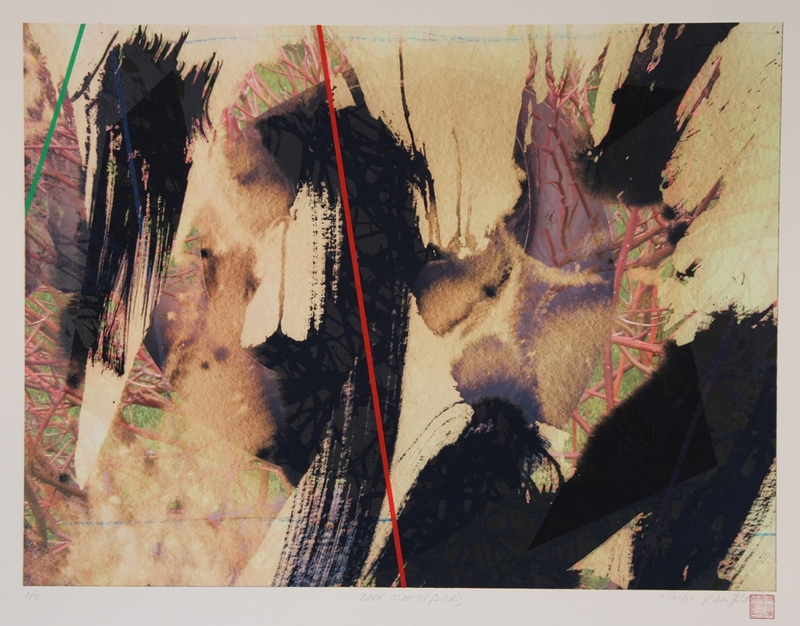 From March 29 to April 28, 2012 the Bellevue Gallery will feature Systems: New Works on Metal and Paper, a new and intriguing series by gallery printmaker, Wayne Eastcott. In this series Wayne addresses the interconnectedness of our universe and how basic forms are dictated by the same basic influences of forces such as gravity, heat, light etc. These new works explore the relationships between nature and technology and how they interact and form the human condition and environment. The surfaces of these works are developed by various combinations of digital silkscreen and hand painted stenciled enamel as well as pigments of mica and metallic dusts applied to either paper or riveted aluminum. 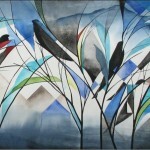 The images combine, city, machine and landscape forms as well as geometric shapes and lines. Wayne’s goal is to make works that will slowly, optimistically and profoundly resonate with the viewer and that create an interconnection with what they can see and more importantly, what they can’t see. 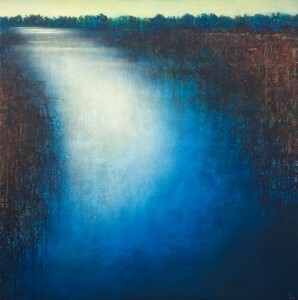 The Bellevue Gallery is pleased and excited to exhibit the newest body of work by gallery artist, Galen Felde. In this series titled, All: The Span of a Heart, Galen elaborates on her re-occurring theme of exploring and reconstructing memory . Galen creates a personal document referencing thematic elements and visual vocabulary from the last 10 years of her creative process.